Lamb Island Bed and Breakfast is a fully self-contained 2 bedroom cottage, accommodating up to 4 adults. There is a private 6 person spa at the end of the front deck with floor to ceiling one way glass, giving privacy with views of majestic trees. Lamb Island is in Southern Moreton Bay, between Macleay Island and South Stradbroke Island, just a 20 minute ferry ride from Redland Bay. It is accessible by passenger ferry (Bay Island Transit System). These run approximately every half hour from Redland Bay. Also by vehicular barge – Bay Islander Service, run by Stradbroke Ferries, which departs from Redland Bay. Booking on the barge is essential. Lamb Island is approximately one and a half hours from the Brisbane CBD. 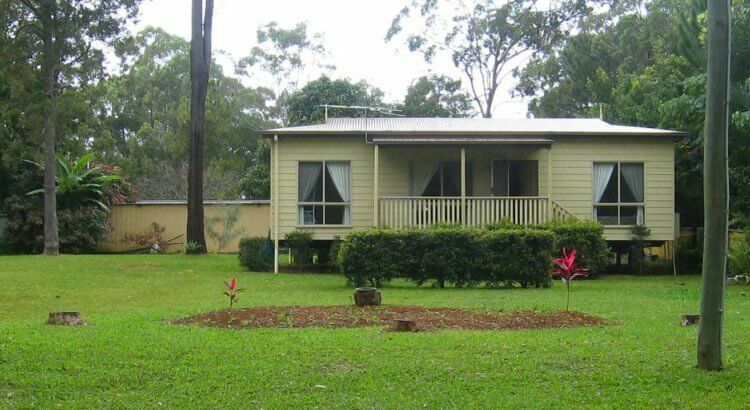 One hour from Brisbane Airport and one hour from the Gold Coast. Lamb Island Bed and Breakfast is a fully self-contained 2 bedroom cottage, accommodating up to 4 adults. There is a private 6 person spa at the end of the front deck with floor to ceiling one way glass, giving privacy with views of majestic trees, water glimpses and prolific birdlife.